. ببساطة كل الخدمات وأساليب الضيافة التي تشتهر بها Quest Serviced Apartments تجعلك تشعر وكأنك في بيتك. يمكن الاستمتاع بمجموعة من الخدمات على أعلى المستويات في الفندق كمثل توصيل من البقالية, تخزين الأمتعة, صف السيارات, التوصيل من وإلى المطار, رعاية أطفال. في الفندق غرف نوم يتجاوز عددها 48، كلها مجهزة بعناية وجمال وبعضها مزود بـ مواد تنظيف, إغلاق, شاي مجاني, مناشف, سجاد. يقدم الفندق مجموعة رائعة من الخدمات كمثل مسار جولف - ضمن 3 كم، لجعل إقامتك تجربة لا تنسى. مهما كانت دواعي سفرك فإن Quest Windsor Apartments هو خيار ممتاز لإقامتك في ملبورن. The apartment was good, clean, a little bit old but it didn't affect the stay. Even though I had a room facing the main road, it was very quiet and had no problems sleeping. 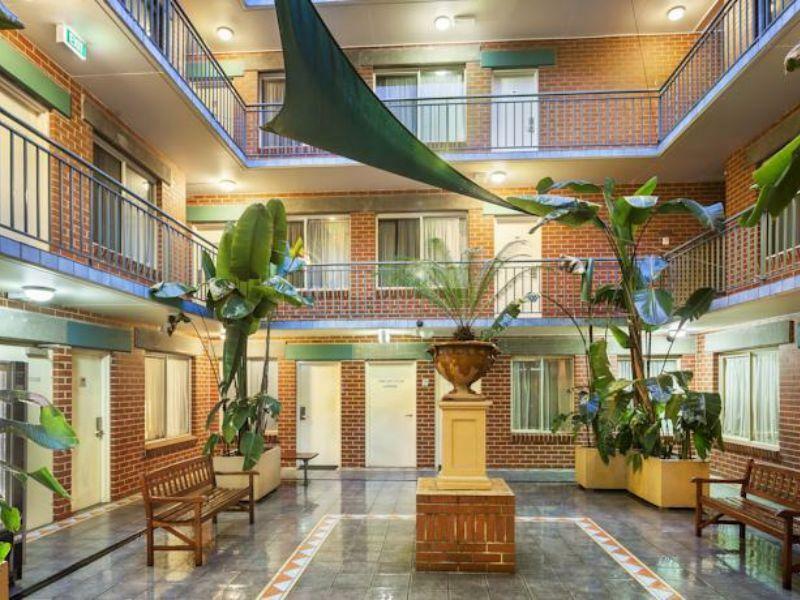 This place is conveniently located near a tram stop and Prahran shops are not that far away. Jacinda at the front desk was great. She was happy to help with anything I needed. Thanks! Great value for money for location and last minute element of booking, staff were friendly enough and quick checkout. Parking for $20 is a bit rich given location, could have just parked in vacant lot next to hotel. Apartments have everything you need which is great, they are, however, dated so do not expect modern decor. The property is non-smoking, however the room we stayed in had clearly had people smoke in it - not just the visit before, but it was engrained in everything so I'd say from the 1990's people have been smoking in it. If you are sensitive to this kind of thing maybe worth asking front reception but they may have little power. It's the only thing that will prevent us from booking again if we can get a good deal unfortunately. Great value for money, had everything I needed. Close to public transport. Overall we are happy with everything except TV/Foxtel .We had to complain about it everyday to make it to work as we have two young children. Foxtel not at all worked throughout and it was in the inclusion list. Rest everything was fine and we love to visit again. This time stay, the water tap were dripping n made noise during nighttime sleep. The staff who tidy up the bed put my own towel n pyjama on the top of my luggage bag, which was laid on the floor n dirty. I left my allergy drug in the room, n went back to find, they just thrown away, not even informed me that I hv left Something behind. Very unhappy with our stay here. they advertise as having foxtel tv...they don't. They advertise as having washing machine in rooms, well the filter was FILTHY, and the machine only had cold water running into it. So couldn't wash whites or towels or stained/soiled clothes. Absolutely ridiculous. They advertise as having Queen bed but it wasn't a queen bed it was two single beds just pushed together. There was stains on bed clothes, curtains and walls. We complained about all of the above and got moved on the 4th night to another Quest building which was slightly better and cleaner. furniture was old and bathroom cabinet was water damaged ... very uninviting. Not worth the money and a little embarrassing - overseas business clients. Room clean but out dated, bathroom/laundry badly in need of repair. positives - Staff. In particular, Sarah at the front desk is great. She helped us with technical questions around connecting my USB hard drive to the Quest TV (result - can't be done. Bring a HDMI chord as there's no remote to use the DVD player under your TV, and the TV itself doesn't take USB) I also witnessed her patiently reading the menu, ordering dinner and processing the payment over the phone for an elderly guest. She orders taxis/ubers with ease and gives great local tips. We stayed in a 1 bedroom apartment which was clean and comfortable. The daily servicing was discreet and thorough. Points to improve upon - the swipe cards to access/leave the car park are temperamental. The driveway itself is awkward to access, as are the card swipe terminals. In saying this, I needed to get my swipe cards replaced twice in the middle of the night (there for a wedding, late night returns to the hotel) and the staff were just as attentive regardless of the random hour. Another point was that there was no ventilation in the bathroom, so the hot shower set off our smoke detector twice - nothing a rapid flailing of a towel couldn't fix but still, a working ceiling fan in the bathroom would be tops. Nice place for a family of 4 or 5. Comfy bed, air conditioners, proper laundry, hair dryer, all the comforts of home. Very comfortable. Could easily stay long-term. Staff was nice and helpful. Requested a change of room with different bed type and got what I needed. Room was spacious, with full kitchen, 2 bathroom and nice living area. A little dated but well maintained. Great for family of 4. Location is good with easy access to highways and popular neighborhoods.